This is much like how your own brain learned in infancy the standard arm movement to reach and grab an object, but since then has also learned to adjust the force of your arm and grip of your hand based on the situation—if, for example, you are picking up a full cup rather than an empty one. Much like human language, finch song is made up of sequences of 'syllables'—units of sound similar to musical chords—and is initially learned by young birds by mimicking adult 'tutors'. As adults, finches sing to attract mates, and can still learn to adjust their songs depending on context—such as whether they are performing or practicing. 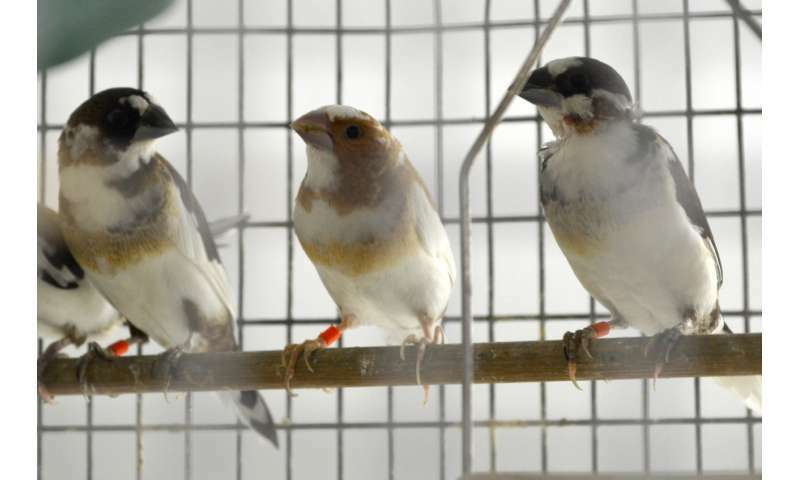 Brainard's lab previously showed where in the brain finches incorporate feedback to improve their songs, but it was still unclear how finches applied these lessons to specific situations.